Please refer to our stock # 1275 when inquiring. 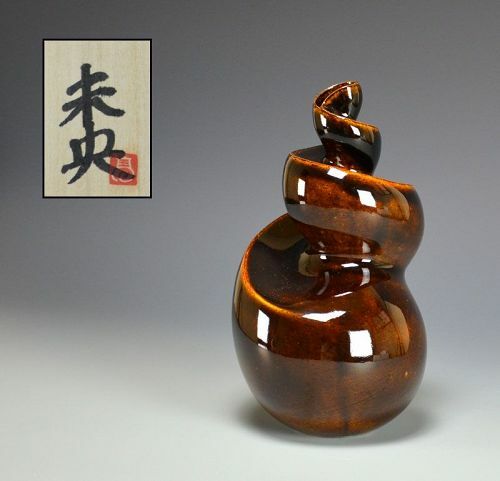 Takatsu Mio Swirling Vase Modern, Japanese, pottery, ceramic 1275 750.00 SATA A spiraling form rises to a small opening creating this temporal vase by Takatsu Mio enclosed in the original signed wooden box. The mouth is at an angle, allowing the viewer a unique image depending upon the angle from which it is seen. It is 5 x 9 inches (13 x 23cm) and is in excellent condition.